The center of the pattern is marked with a bright pink dot. Notice that there are a few 3/4ths stitches around his overalls pocket. Use one strand of floss to backstitch. 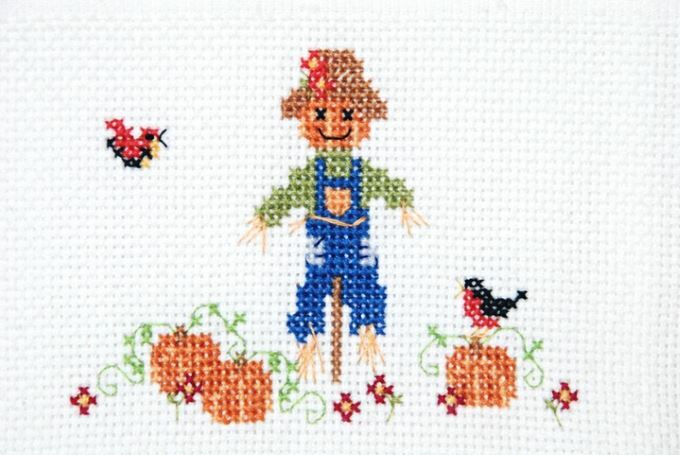 Refer to the pattern chart and photo to see how to make each backstitch.